Alcoholics Anonymous has long been the main authority when it comes to getting sober. Part fellowship, part treatment, it espouses the values of the 12 Step Program. Millions of alcoholics around the world have benefited from AA and the 12 Steps in general. But Alcoholics Anonymous knows the importance family plays in the process. 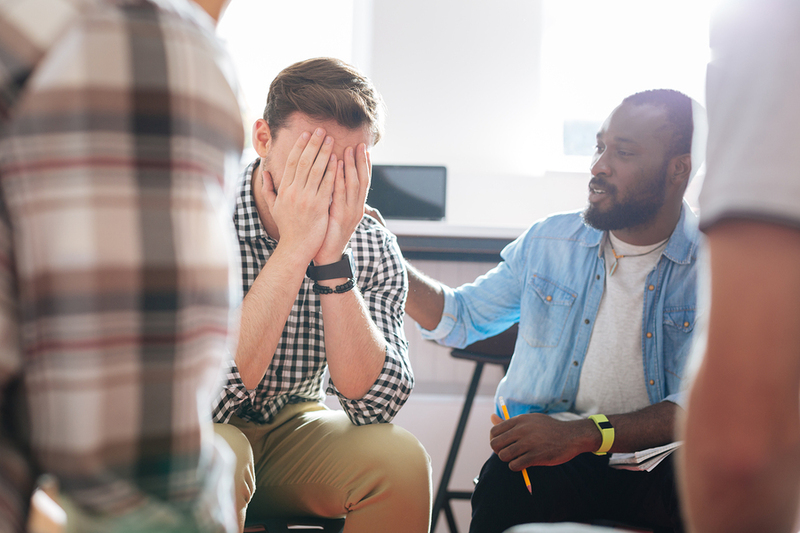 While most AA meetings are limited to alcoholics, and the occasional visitor, AA has a separate program dedicated to helping the addict’s loved ones. Al-Anon is a 12 Step fellowship that caters to families of alcoholics. It follows an adapted version of the 12 Steps, to provide support for those who end up in the crossfire of alcoholism. Connected to Al-Anon is Adult Children of Alcoholics (ACA). ACA was designed for people who grew up in dysfunctional households with an alcoholic parent. The group was created for the purpose of helping people whose development was shaped by alcoholism, even if they themselves never drank. It gives them the support to take care of themselves in an environment or world in which they have felt unsafe. Al-Anon was founded 16 years after Alcoholics Anonymous and the 12 Steps were introduced. Al-Anon is based on the principle that alcoholism is a family illness. It gives members the opportunity to get support of their own. They share stories, comfort each other, and learn how to better aid their recovering family member. Al-Anon is not, however, an intervention program. While many members of Al-Anon have family members in a 12 Step program, others do not. They may try and get help for their family member, or they may simply share their own experiences in the hope that they can grow stronger. Members of families with one or more alcoholics experience some common problems. One of the most common is taking on the role of a rescuer. Their life’s purpose becomes dedicated to helping their loved one. Usually, this leads to codependency and other unhealthy patterns. When the alcoholic eventually does get help, their family members can end up feeling set adrift. Their life’s purpose has been taken away, and they are left having to deal with life on their own terms. This can be a very exciting time, but it is certainly disorienting and frightening. Family members also often have low self-esteem, following years of perceived failure in helping their loved one. They have taken on the unrealistic burden of rescuing them, and feel like they’ve let down their loved one every time they fail. One of the essential principles of Al-Anon is to try and alleviate one’s own sense of blame. Family members of alcoholics, especially female, feel like they are to blame. Al-Anon teaches that no one person can cause another’s alcoholism and neither can they stop it from happening. They place importance on taking care of oneself. Alateen is a part of the Al-Anon fellowship specially for teenage children, family members, and friends of alcoholics. Teenagers seek support and comfort from others their age going through the same problems. It is not, however, a program for teenagers recovering from alcoholism themselves. Adult Children of Alcoholics (ACA) was created by a group of individuals “graduating” from Alateen to Al-Anon. They found that Al-Anon did not sufficiently address the commonalities experienced by those who grew up in a dysfunctional household with an alcoholic parent. Al-Anon was more focused on the current experience of living with or loving an alcoholic. The creators of ACA were aware that they shared certain traits that made them experience life in a certain way. Their development had been shaped by their lives in an alcoholic household. They needed a different kind of support offered than that in Al-Anon. The ACA framework is often used by AA chapters and is not a rival group to Al-Anon. Like any AA program, it is based on the 12 Steps. Tony A., one of the creators of ACA who was an alcoholic and adult child of an alcoholic himself, created the first piece of ACA literature, called “The Laundry List.” It lists the characteristics shared by many children who grew up in such households. One of the major themes in the lives of people who grew up in any kind of dysfunctional family is that when the person causing much of the dysfunction gets help, everyone else feels left behind. They feel like this person has put them through so much, but are almost being treated special because of it. While at first they felt compassion and were supportive of it, they begin to feel some anger and resentment. They may even begin to sabotage their relationship or their loved one’s recovery. ACA gives children of alcoholics the acknowledgement that they’ve been through something. They need and deserve help too. Getting help is not just about supporting their loved one’s recovery, but is part of their own self-care. Al-Anon and ACA are essential parts of the recovery process. Alcoholism is considered by the AA Fellowship to be a family disease, and no one should be left behind.